Work has been taking place all summer on the waterfront building which was formerly the restaurant Via. Last year the Via business was hit hard during a storm and eventually shut down. There have been visible renovations in progress and this week the building changed from white to a deep blue. We haven’t heard the details yet of to what type of restaurant it will be but it’s great to see the space being used. 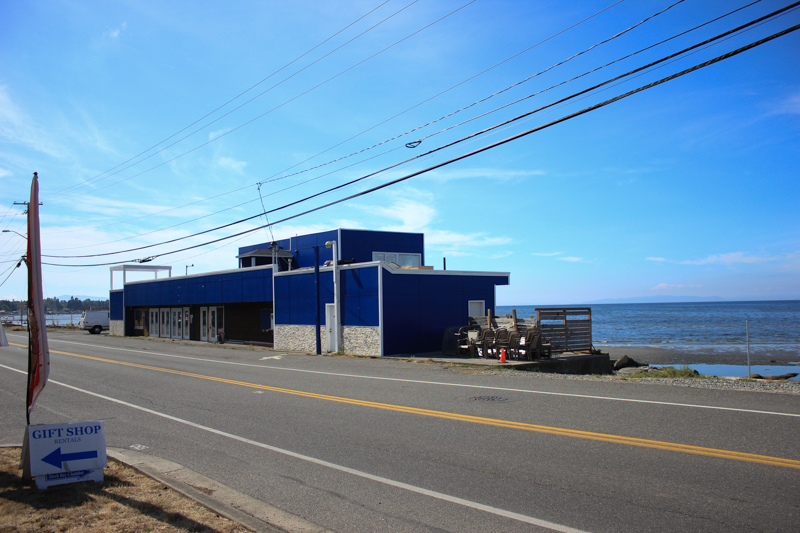 It is arguably the best restaurant location in Birch Bay.